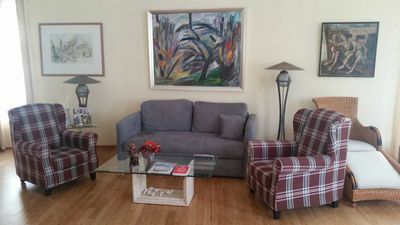 Directly in the historic old town, in a building complex between Kaisersaal and Krämerbrücke, our 6 apartments are located. The two larger apartments, each with one or two bedrooms and a living room with a sofa bed, each have a fully equipped kitchen. The two 1-room apartments are equipped with a single kitchen. The central location to all sights and the in the courtyard available parking facilities (paid) offer ideal conditions for an eventful stay. W-LAN on request, free calls to the German landline.